Oats is not only good for the heart. It contains high amount of fiber, folate, potassium and omega-3 fatty acids. Aside from being a healthy and uber nutritious food, it also does numerous things for a variety of reasons. Oats does many wonderful things in beauty and skincare. It is indeed a superfood that is worth keeping in your pantry. An oatmeal bath is a good remedy for itchiness and skin irritation caused by poison ivy and chicken pox. Oats contain anti-inflammatory and anti-itch properties which can also relieve symptoms of eczema and psoriasis, as well as itchiness in healing sunburn. Grind oats into very fine powder. Wrap it in cheesecloth and tie the opening securely. Fill bath tub with warm water and soak the bag, squeezing the water out occasionally. Some prefer to pour the oatmeal powder directly into warm water. Let your skin soak in the bath for 20 to 30 minutes. You may also rub the cheesecloth bag directly into affected area for better results. Ever heard of colloidal oatmeal? It works not only to relieve itchiness and irritation but also to moisturize the skin. Oats contain lipids and abundant vitamins necessary to have good skin. It works to moisturize as well as soften the skin by acting as barrier that locks moisture in our skin. Try mixing oatmeal, water and honey together to form a paste. Oatmeal contains good cleansing and exfoliating properties while honey has anti-bacterial properties. Body scrubs containing chemicals and artificial ingredients can be quite harsh to the skin. Luckily, you can always go for an all-natural exfoliation by mixing oatmeal, brown sugar, coconut oil and warm water. Oatmeal contains saponins which effectively cleanses the skin. It also helps remove dead skin cells, thins out scars and erases blemishes with regular use. A DIY dry shampoo using oatmeal is a good idea. It can clean hair and scalp as much as it can remove dirt and grime from the body. For light blondes, a simple dusting of finely ground oats can help absorb excess oils in hair strands and scalp. Drug induced acne can be effectively treated with colloidal oatmeal. Drugs that inhibit the epidermal growth factor receptor (EGFR) and various tyrosine kinase inhibitors can cause skin breakouts. Using a colloidal oatmeal lotion is helpful in controlling skin breakouts. 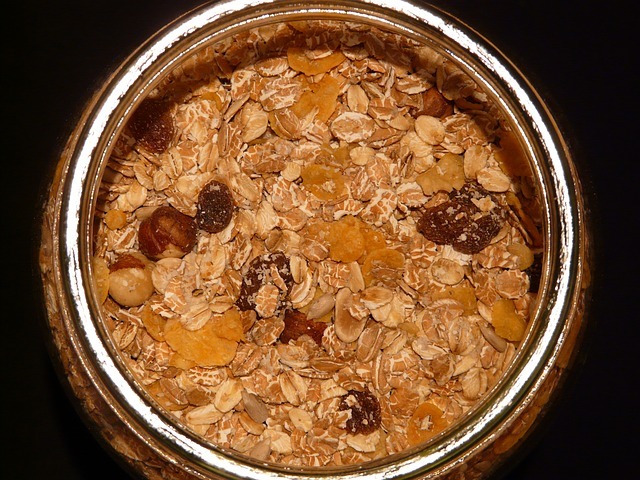 Apart from these five benefits, oatmeal can be added to your bath for a warm, relaxing soak. If you feel stressed and tired, it would be a good idea to enjoy an oatmeal bath, infused with lavender oil. It would definitely keep your skin healthy while keeping you relaxed. On the other hand, if you need something to lift your spirits up, for go for an oatmeal bath with orange or peppermint essential oil for added zest.